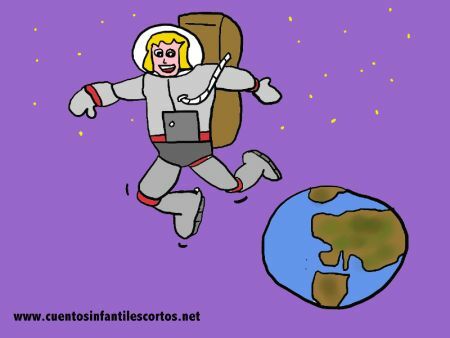 Short Story for Kids written by: Matias Constanzo. A Space Cowboy crashed in the middle of the jungle and turned into an awful, ugly toad. Just at that moment he met a pretty princess called Isabelle. She became scared when she saw him because he was gigantic, much bigger than other toads in the jungle. – “What does this ugly, giant toad want?, Maybe he wants me to kiss him…that would be disgusting!”. “What if he was a prince? I will have to kiss him but then that would be really disgusting, I cannot do it!”. “Might you be a prince?” – the princess thought. After a few more hours she finally decided what to do. – “Well ok, you have been with me the whole time here in the jungle. I guess you are asking me something and so I will kiss you, but just once because you are actually a really ugly toad.”. – “Who are you? You don´t look like a normal prince”. – “I am not a prince, I am a Space Cowboy! I crashed in the jungle just before you came by. Thank you so much for helping me. I did not want to be an ugly toad any more, I will fix my space plane and return to the moon!“. Only this time, they went back together to the moon where they had many sack races, never separated and were very happy together. Moral of the story: If somebody is ugly it does not matter. Do not judge people by their aspect, because they could be more beautiful than what they look like. Vales of the Story: respect, kindness, understanding.